Meet Performance Training Academy. At PerformancePro, we’re always on the look out to team up with other fitness experts who also know what they’re doing. And when such a partnership helps further PerformancePro’s deep-rooted commitment to sports education and raising fitness industry standards, it just makes sense! We’re proud to introduce our latest partnership with Performance Training Academy and highlight their exemplary programme of health and fitness training. PerformancePro is delighted to be hosting some of the academy’s practical workshops in our state-of-the-art gym here in the heart of London’s West End. Established in 2010, Performance Training Academy delivers industry-recognised Fitness Qualifications using a blended learning approach. This means students start to learn through its online academy as soon as they enrol. Then their practical training is delivered via a programme of workshops. 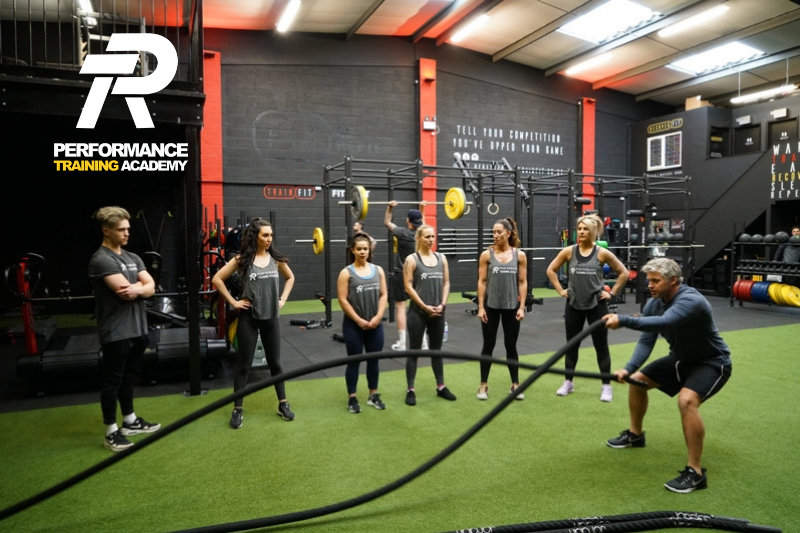 PerformancePro is hosting and providing everything that’s needed for the academy’s practical training for both the Level 2 Certificate in Fitness Instructing and Level 3 Certificate in Personal Training. For the Level 2 Certificate in Fitness Instructing and Level 3 Certificate in Personal Training, delivered in partnership with Performance Pro, the online training covers all the important theory work to enhance the student’s subject knowledge. This includes, the Principles of Exercise (essentially what adaptations occur within our bodies as a result of training), Anatomy and Physiology (to understand bio-mechanics etc), Nutrition, how to programme for different clients with different goals and much more. The practical workshops at PerformancePro cover all the necessary coaching and practical skills that a good Fitness Professional needs. These workshops go over and above the industry syllabus! For example, the training covers the essentials of how to coach clients through big lifts such as Deadlifts, Squats and Overhead Presses etc. The programme also covers coaching all gym-based activity, Free Weight lifts, Cardiovascular Activity, Stretching and Mobility. Within this course, students also learn other important skills such as KettleBell lifts, Strength & Conditioning Lifts, Postural Analysis Assessment, Group Training and much more. Upon completion of the Performance Training Academy online content and practical workshops, which includes assessments along the way, a student will then be a recognised Fitness Professional. This enables the individual to work either as a gym instructor by completing a Level 2 course, or as a fully recognised personal trainer by completing both the Level 2 (a pre-requisite to Level 3) and the Level 3 certificates. They can then work self-employed or employed, and gain access to the industry’s standardising bodies, REPS and CIMSPA. If you’re interested in getting a new fitness qualification or know anyone who is, please share this page and/or contact Performance Training Academy direct.